Born and raised in Rockville Centre, New York. Robert attended St. Michael’s College in Winooski, Vermont where he played varsity lacrosse and graduated in with a degree in Business Administration. 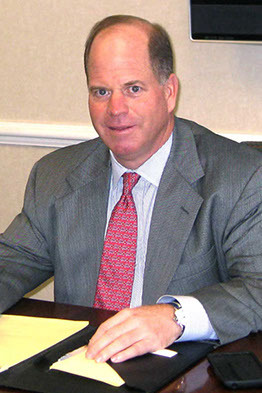 Upon completion of his studies, Robert began his professional career in 1988 on Wall Street and spent the next 12 years in the financial services industry. He followed by 10 years in real estate focusing on luxury-resort residential properties in Kiawah Island, SC. In 2010 used his extensive property knowledge to purse an opportunity in P&C insurance with an independent agency based out of Hilton Head. In 2014, Robert entered into a joint venture with Maury Donnelly & Parr to open an office for them in Charleston. MDP and Robert are partnering to grow Robert’s high-net worth personal lines business as well as to pursue other personal and commercial lines insurance opportunities in Kiawah, Seabrook Island, and the greater Charleston area. Robert resides with his son Andrew (18) in Mount Pleasant, SC. Robert is an active member of St. Andrews Church in Mt. Pleasant and devotes a lot of his free time to teaching and coaching youth lacrosse in the Charleston, SC area. Robert is also an avid golfer. Please visit our South Carolina site: www.mdpcharleston.com.